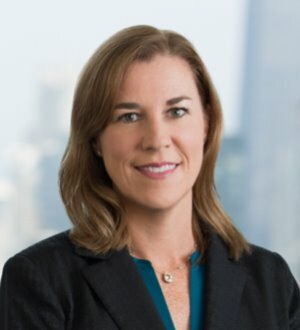 Kerrin Slattery is a partner in the law firm of McDermott Will & Emery LLP and is based in the Firm’s Chicago office. Kerrin is the partner-in-charge of the Health Industry Advisory practice in Chicago. Kerrin maintains a general health industry practice, focusing on the representation of hospitals and health systems and other health industry providers and investors. She has significant experience in all aspects of health law transactions, including mergers, acquisitions, affiliations, joint ventures and system restructurings for hospitals, nursing homes and other health care providers. Kerrin also advises hospital and health system clients on accountable care strategies and hospital/physician integration initiatives. In addition, Kerrin regularly advises clients on regulatory compliance with licensure, accreditation and other state and federal regulatory matters, including EMTALA. She works with numerous Catholic healthcare organizations and non-Catholic organizations in the unique structuring aspects of such transactions. Kerrin is listed in Best Lawyers in America and is ranked as a leading lawyer in health care law in Chambers USA: America’s Leading Lawyers for Business (2008, 2009, 2010 and 2011). Kerrin is a member of the American Health Lawyers Association and is admitted to practice in Illinois. She has served as an adjunct professor of law at Loyola University Chicago School of Law. Kerrin graduated from the University of San Diego with a B.S.B.A. degree. She earned her J.D. and M.B.A. from the Loyola University of Chicago. Kerrin is listed in Best Lawyers in America and is ranked as a leading lawyer in health care law in Chambers USA: America’s Leading Lawyers for Business (2008,2009, 2010 and 2011).